Creating a schedule is one of the things that helps people keep track of all the things they need to do during the day, the week and beyond. Wall calendars, desk calendars and planners are all diverse tools that assist with this task, making day to day events easier to plan when a person can easily access their entire list of upcoming events in one handy utility. The nice thing about a promotional calendar is that not only will a consumer see it every day, others will also be able to view it regularly as well. Each month provides a new opportunity to advertise the business logo and another of its products or services, or else a company can have the same image every month to reinforce the same corporate message. Corporations that want to create a unified culture within the workplace can also take the first step with corporate gifts of wall calendars. These will present a consistent vision of employee loyalty throughout the office as each desk will have some business message present in an aesthetic way. Since a company can totally layout its own calendar design, the options are only limited to what the organization can come up with. A Gather article pointed out that businesses can use these as a way of drawing attention to a specific day or series of events important to the company even without accompanying it with an image, making broader array of planners more appealing for use. Having a date-keeping tool readily on hand will make consumers and employees associate the business with timeliness and organization, qualities that should be part of the corporate culture and are easily boosted with promotional planners. These can be handed out as workplace incentives or given to existing customers. Businesses can also give them away at conference or public events to draw new clientele and raise awareness of the establishment. Many different aspects can be customized with wall calendars, meaning every part of the consumer experience has the ability to be engineered by careful corporate design choices. Color, images, size and branding choices will affect the way a customer and employee use the item on a regular basis. Promotional Merchandise Online wrote that balancing these decorating options with the overall function of the item give the promotional calendar the best impact in terms of a giveaway at any event. Viewers both within the organization as well as casual viewers should be able to get some part of the brand’s impact just by looking at a well-designed calendar or planner. The company can also specify certain dates, highlighting calls to action when certain events the issuing organization feels are important and can help drive business should be looming. 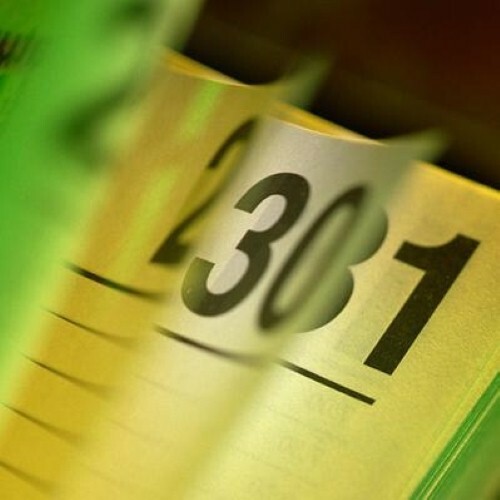 Accountants might consider tax season a prime time to put reminders on their promotional calendars for clients to contact them for assistance, for instance. Melodika wrote in a recent article that these calendars, apart from being functional, also come in a variety of viewing designs that can make them more appealing to different audiences. Tear away pages, stand-up features and interesting shapes can all make a promotional calendar really stand out on a client’s desk or in an employee’s work station. These tools are versatile, affordable and will have staying power with recipients who turn to them to plan their everyday and upcoming activities.